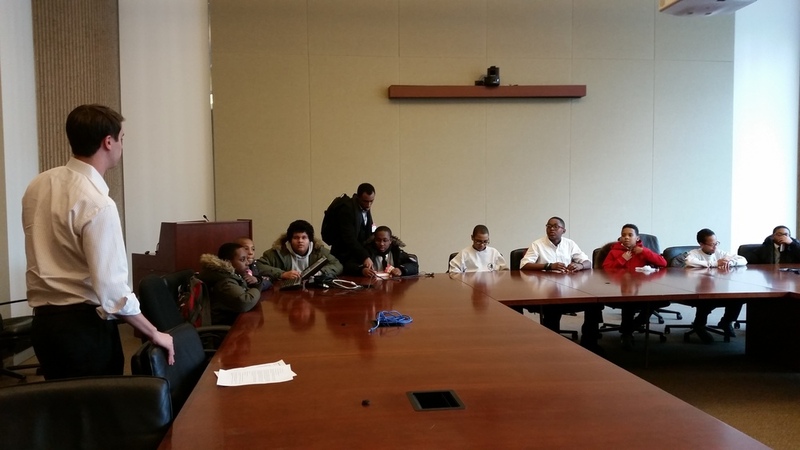 On Wednesday February 25th, nine HLL students from Promise Academy II traveled to Tribeca to meet career mentors from Citi Bank who gave them a tour of a trading floor and spoke to them about their work in the finance industry. The students who took the trip were selected for the trip because of their academic performance in school this year. 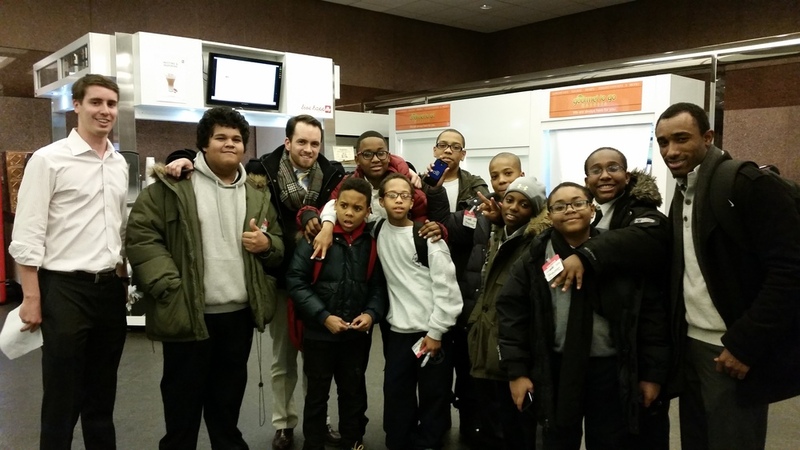 Led by HLL Program Director Jacques Ward, the team was accompanied by Mr. Boyle, a Social Studies teacher at the school who also serves as the team’s Assistant Coach and Mr. AM, the math teacher of the 6th graders in the group. The boys were greeted by Tom Cassel, who planned the day with HLL and is also a member of HLL’s New York City Triathlon Team. 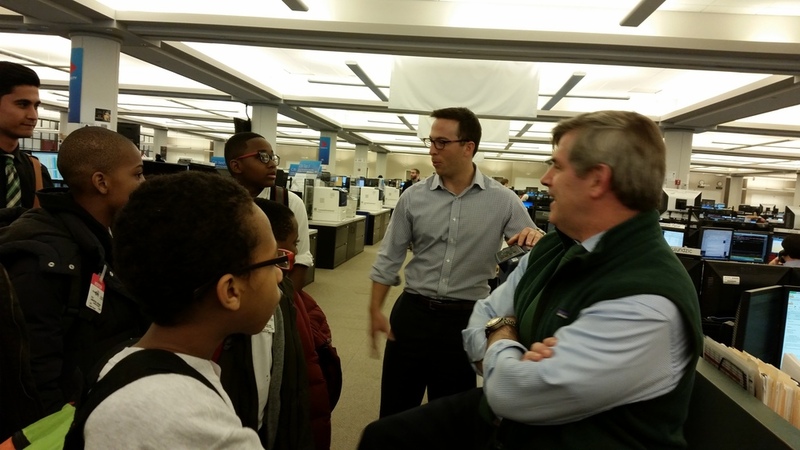 The students listened intently while Tom explained what Citi Bank does and his role there. He then brought the group upstairs to his trading floor. 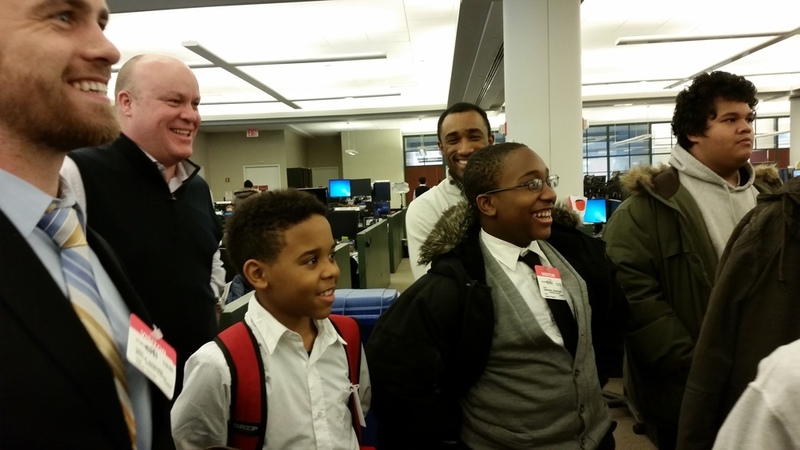 The Promise boys got the chance to see first hand what a busy trading floor looked like during their tour. 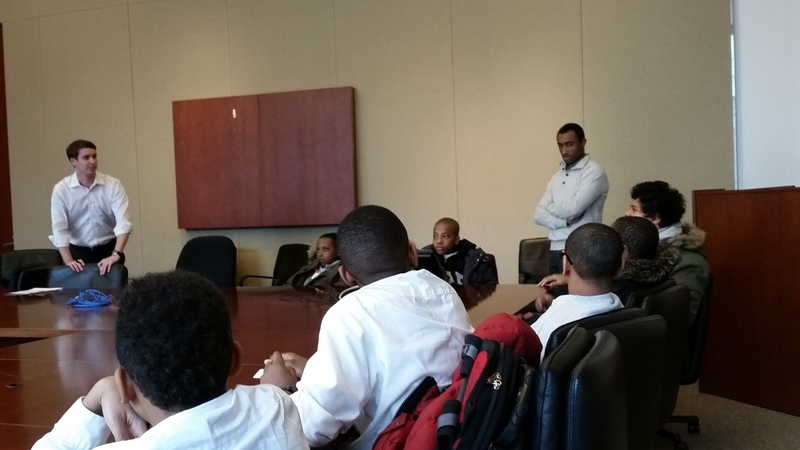 Along with Tom, Ish McLaughlin, Robert Crowe, John Warren, and Daniel Nathan all took the time to speak with the boys about their roles at Citi and to answer questions about how being a student-athlete prepared them for life after college and their career paths. Thank you to Tom Cassel and everyone at Citi for such an inspiring day!